Israeli Prime Minister Benjamin Netanyahu and Russian President Vladimir Putin have been engaged in a flurry of discussions recently, at least some of which are likely tied to Iranian activities in Syria. The meetings come in the shadow of recent reports of a major Israeli airstrike on March 28, targeting an Iranian weapons' warehouse near the northern Syrian city of Aleppo, which reportedly resulted in large blasts and casualties. Russia leads a pro-Assad military coalition in Syria, of which Iranian forces are a central part of. Yet it also maintains a deconfliction channel with Israel to avoid unintended clashes between its air force and the Israeli Air Force, both of which are active in the Syrian arena. 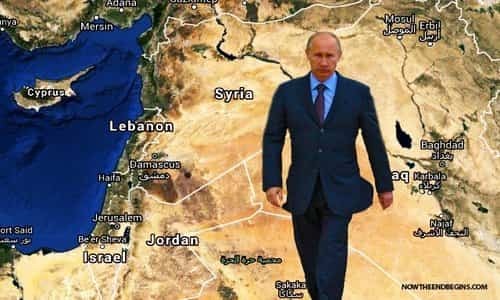 Putin has also attempted to play the role of mediator between Israel and Iran, seeking to douse the shadow war raging between them on Iranian soil. Israel, for its part, is determined to disrupt Iran's plan to turn Syria into a war front against it. Netanyahu will fly to Moscow on Thursday for a meeting with Putin, just five days before Israel's April 9 elections. The meeting may be tied to Russia's assistance in retrieving an Israeli soldier who went MIA in 1982, but may not be limited to that topic. On April 1, Netanyahu and Putin held a phone conversation to talk about "military cooperation issues," according to the Kremlin, as well as "pressing bilateral issue," and "the situation in the Middle East region." On Feb. 27, the two leaders met in Moscow to discuss Syria. Netanyahu said during that meeting, the two sides reached an agreement on how to coordinate between the militaries. They also apparently agreed on a goal of getting "foreign troops" to leave Syria, according to Netanyahu. While Russia will not be able to satisfy everyone, it does understand that it will need to leave each side with "half of its desires," Professor Uzi Rabi, director of the Moshe Dayan Center for Middle Eastern and African Studies at Tel Aviv University, told JNS. To achieve this, Moscow gets every actor to spell out "what is really important to it, and here, Israel has an opportunity to define the range and perimeter of Iran's actions in Syria," he added. "In general, this is a new situation that the region is not used to. The Russians are managing this game with many bargaining chips, and Israel will have to adapt itself to the new rules of the game." Doron Itzchakov, a research associate at the Begin-Sadat Center for Strategic Studies, and at the Alliance Center for Iranian Studies at Tel Aviv University, agreed that the current situation is good for Moscow. "The Russian interest is to position itself as the 'final judge' in Syria, and this situation, in which Netanyahu runs to Putin and the Iranian side runs to him, is comfortable for them. They are comfortable with being the balancing scales," he said. Iran, for its part, will be closely monitoring Israel's contacts with Russia and adapt its policies in Syria accordingly. "The Iranians will be watching out for Russia's policy in Syria, to see how they need to change their tactics. Iran has no plan of releasing its grip on Syria, but it changes tactics so as not to lose momentum," stated Itzchakov. On recent example of how Iran has adapted its takeover efforts in Syria is by embedding its military personnel and weaponry into sites run by the official Syrian Arab Army. However, that didn't stop Israel from reportedly striking such targets when it detects them. Itzchakov stressed that Iran's decisions in Syria cannot be disconnected from Tehran's wider, geo-political ambitions or from internal power struggles that are raging inside the Islamic Republic. He cited a visit in March by Iranian President Hassan Rouhani to neighboring Iraq as an example of this linkage. The goal of that visit was to develop an economic corridor to bypass biting American sanctions, said Itzchakov. Yet the visit also boosted the prestige of Rouhani, who is facing major criticism at home from the rival conservative bloc and the Islamic Republican Guards Corps (IRGC). "The economic corridor Iran wants in Iraq is tied to its desire for an economic corridor to Lebanon and its ties to Syria. One cannot separate these things," said Itzchakov. In addition, Iran has been able to build up armed forces in all of these countries--Iraq, Syria and Lebanon--and has turned them into deeply influential political forces in Iraq and Lebanon. Iran plans to do the same in Syria. But the element responsible for this activity is mainly the IRGC and General Qasem Soleimani, commander of the overseas Iranian Quds Force unit, which is competing with Iran's Foreign Minister, Mohammad Zarif, for control of Iran's regional policies, said Itzchakov. Out of this internal rivalry emerges the story of Iranian activities in Syria, he added. "The IRGC's power as a decision maker in geo-political, economic and diplomatic areas is rising," he said. The internal power struggle is making "Iran more sensitive to Syria," said Itzchakov. "Even when done in opposition to the popular wishes of the Iranian people, the IRGC makes its own decisions, including in Syria. The IRGC wants to set the agenda."